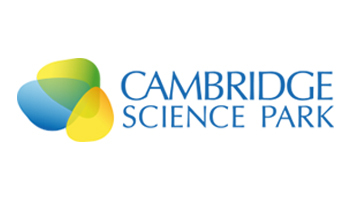 The aim of the commission behind the CPIER report was to garner baseline economic findings and views to assess the most pressing challenges facing Cambridgeshire and Peterborough in sustaining economic growth in the years ahead. The growing pains have been duly and clearly diagnosed. The objective set out in this area’s devolution deal with the Government was to increase economic output by almost 100 per cent over the next 25 years – from £22 billion to more than £40bn. The review talks about the potential to create 400,000 jobs and 10 additional $Bn companies to Cambridgeshire’s current 15 in the next 18 years by promoting the London-Stansted-Cambridge corridor alone. It shows that the area is growing faster than anywhere else in the UK and – perhaps significantly – that official government figures undersell the jobs and GVA growth of our economic powerhouse. It often sounds fantastical when reports project stellar stats to support a region’s economical growth potential. So let’s go back to the future. Pre Trinity College unveiling its plans for a science park in 1970 Cambridge was a cabbage patch; now it is billionaires’ row. Stansted as an identifiable commercial airport had been opened in 1969 but was unrecognisable to today’s iconic hub growing its reach across the Atlantic and ever deeper into Asia. The truth is, it is far easier to grow from a modest base than it is from a high point: And therein lies the Cambridgeshire and Peterborough area’s dilemma. Principally because of the increasing internationalisation of Cambridge, housing, office and lab provision is near exhaustion. 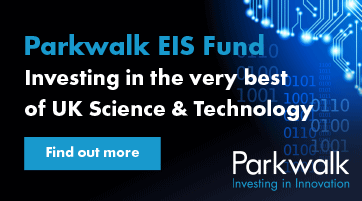 Because of the increasingly intense battle for top talent, companies in the life sciences and technology sectors especially are having to cast the recruitment net farther and wider which then further impacts on both housing provision and transport options. So do you throw in the towel and slap up the ‘Full’ signs? Or do you grasp the nettle and commit to creating the conditions where a bulging business cluster can flex its muscles on a global stage? It’s a no brainer that the latter is the way to go, especially with the ill-conceived Brexit looming. But there’s the rub. The CPIER report correctly identifies that the Cambridgeshire and Peterborough area contains three distinctly specific sub-regions – Cambridge, Peterborough and The Fens – each with highly differentiated business and industrial profiles. Innovative technology such as AI and AgriTech may help to draw together or build a bridge between some of the common strands and synergies across these three distinct micro-economies but I would argue that they cannot be treated as one region if the potential of each is to be optimised. If wishes were horses then every beggar would ride. But growth plans for any region must be rooted in reality. There is an inescapable truth here that needs to be recognised. Cambridge is by some distance the reason international businesses are relocating here and growing in such numbers. They are spreading out into the hinterland to business parks on the borders of neighbouring counties; they are throwing shoots out east, west, south and north. But Cambridge is the magnet. And that is because of the university and the employable brain power it produces for local and international businesses. Add the fact that Cambridge University and its colleges, allied to the efforts of seven other world-class universities in the region, are building more houses than the local authorities and almost matching the output of the most prolific private developers. It is all very laudable to cite the need for social inclusion and broader interests but money talks and global giants all want a slice of Cambridge. Even the laudable CPIER report is handicapped because of a lack of credible stats regarding current and future recruitment and growth plans being hatched in the boardrooms of global giants now anchored principally in Cambridge. They can talk cogently about jobs created by only so many businesses in the locale, mostly indigenous companies. But no-one can tell us how many people are currently employed or set to be hired by the following acquirers of CAMBRIDGE companies: Apple, Google, Microsoft, Oracle, Qualcomm, Huawei, Hytera, Samsung, Takeda, SoftBank, Brother Industries, Illumina, Gilead, FuKong Interactive Entertainment, Amazon, Danaher Group, Otsuka and many, many others. Throw into this melting pot the CPIER finding that Cambridge companies say that if they could not grow from here they would rather move abroad to Europe, North America or South-east Asia. 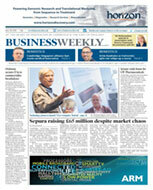 Business Weekly wants the whole, beautiful diverse East of England to grow and prosper. But we retain the position that you feed the strong and then incentivise the strong to feed the less strong. And as long as Cambridge University is standing it should be blindingly obvious where the fulcrum of sustainable growth is situated and where investment resources would best be concentrated to most effectively generate broader benefit. The entire growth investment argument could actually be diluted and ultimately lost if local influencers, with the best of intentions, try to win backing for a disparate Cambridgeshire and Peterborough mass region rather than the proven economic engines such as Cambridge. Hopefully the summer will be spent by the commission contacting the overseas companies that have acquired Cambridge businesses and seeking their recruitment and expansion intentions for the next 5 or 10 years. They are the ones who can most accurately identify from which bases in the region they will grow – whether they will be pushing operations into surrounding counties to escape the need for wholesale relocation abroad if Cambridge cannot meet their growth needs. Indeed, whether they will need to recruit in such numbers that they have to extend beyond their current local HQs. And where do they plan to recruit from? Globally after Brexit? That’s a tough one. From across the UK? If so, what is a reasonable daily bike commute to Cambridge? From locally based companies? If so, do those smaller companies need to scale physically or can they stay where they are or even downsize into smaller premises? The whole issue of scale is inter-related and will dictate how much new housing is required to accommodate future needs; how much new tarmac or rail spurs need be built. Or, heaven forfend, will major employers pioneering new generation AI and robotics technologies be able to scale through clicks and mortar rather than bricks and mortar? Flexible working; home working; taking skills-wealthy subsidiary businesses with existing separate premises under their wing. Forging alliances with non-competing synergistic startups to acquire talent. The most successful companies will set their own growth agendas based on the product or proposition they are selling and where their optimum vertical markets are based. It is their roadmaps the commission needs to discover before Highways England starts swamping more of our road arteries with cones and artificial speed limits to trap fines for ailing police authorities and councils. They might just find that with smarter working practices, integrated strategies and a better global sales proposition we may not require as much new infrastructure as originally feared.